Luckily for the small town and its citizens, this wasn’t the work of a devious killer clown, but rather a local group of brilliant teenage girls looking to spook their friends. Peyton Reiff, the mastermind behind the whole operation, took to social media to set the record straight about the creepy red balloon sightings. As proof, Peyton posted pictures of the group mid-prank. 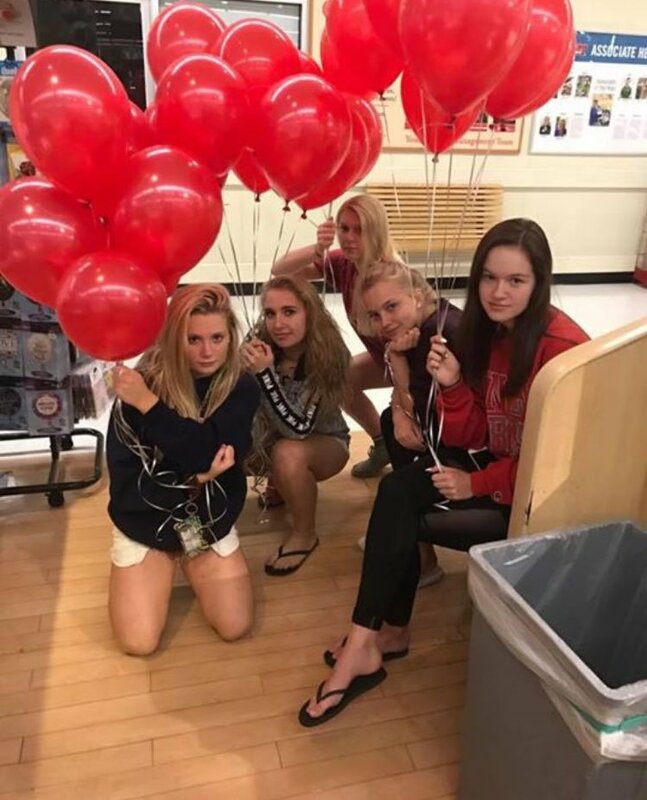 “Our plan was to tie red balloons to sewer drains around our [friends] from school houses to geek them out since the new IT movie is coming out this Friday and we knew kids from our school would know about this! We ended up going back to giant and getting 10 more red balloons and tying them all over town.” Petyon wrote on Facebook. The girls soon realized that their prank had been noticed by the local police department (the cops admitted they were “completely terrified”…LOL). The girls said they didn’t intend to scare the whole world, let alone the police, but they are glad everyone got a laugh out of it. The cops were good sports about it too (though requested the pranks be stopped to prevent things from getting out of control). Can you imagine seeing red balloons showing up all over your town with no explanation? #NightmaresForever.